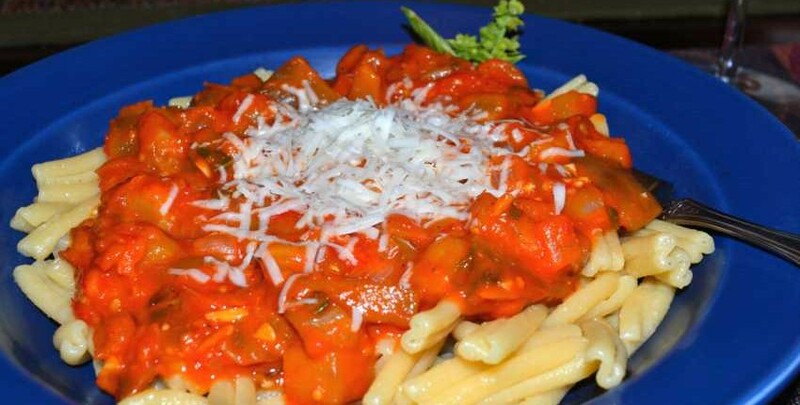 This fresh Sicilian eggplant and tomato sauce is wonderful and surprising with its richness and depth of flavors. 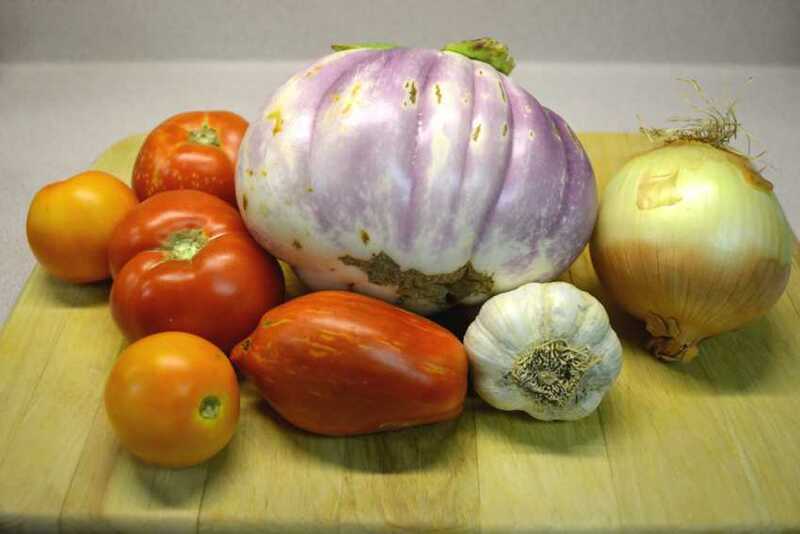 The tomatoes and eggplant have both their fresh and roasted flavors overlaying each other, combined with the different types of tomatoes we used in this recipe that contribute a variety of flavors that keep people coming back for more! This is the perfect dinner dish to make as a group in the kitchen, as the pan-roasting takes a little bit of time but doesn’t need a lot of constant attention. A group of friends can easily share the prep work and keep the dish cooking while enjoying a glass of wine and sharing stories, then combining and finishing the dish and sitting down to some serious enjoyment at the finish. 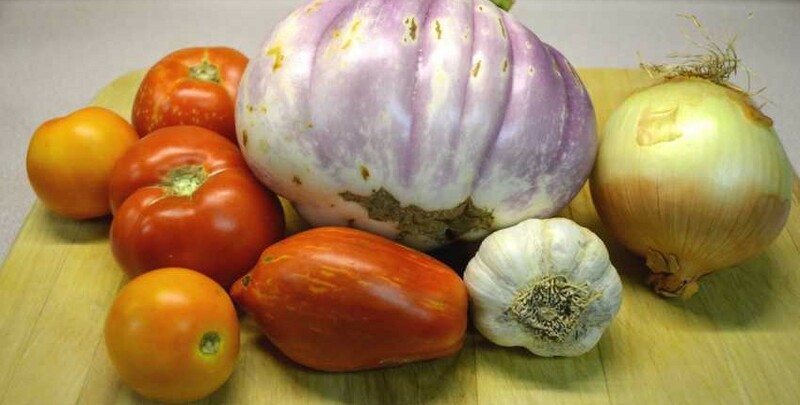 Here’s what you could grow in your garden for this recipe – Tomatoes, Onion, Eggplant and Basil! 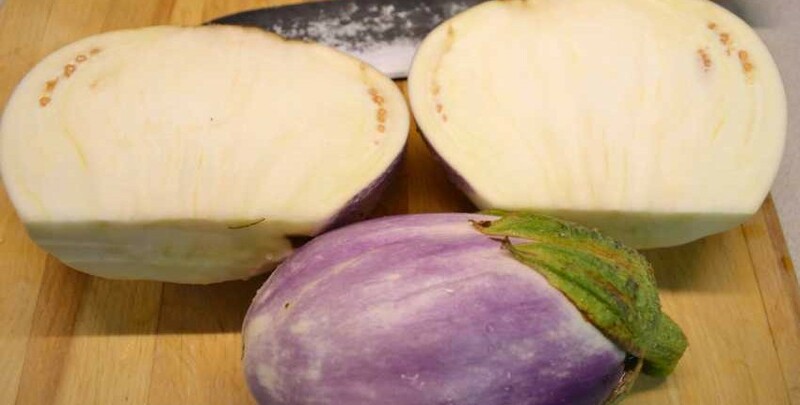 Freshly picked eggplant is sweet and avoids the common bitterness of store-bought ones. Adding fresh picked, pan-roasted tomatoes makes the flavors really pop! 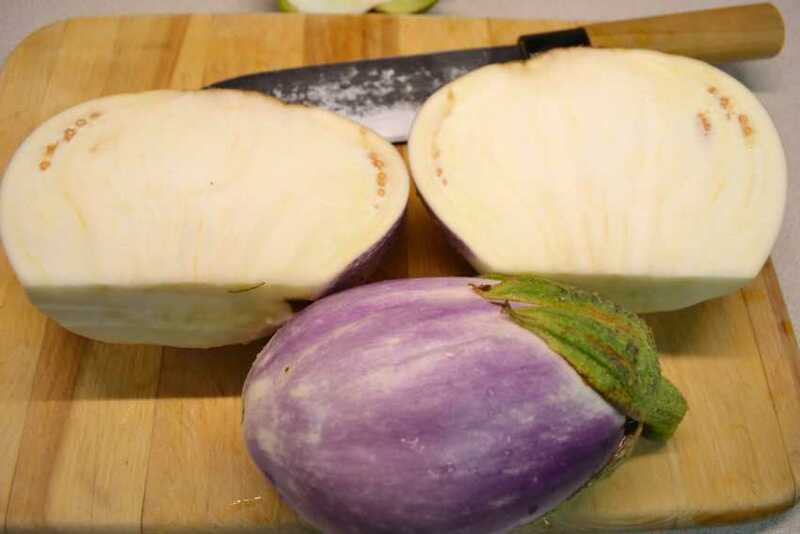 Cut off the spiky green cap on the eggplant, then peel the skin with a vegetable peeler. Cut into cubes, about 1 1/2 inches long. 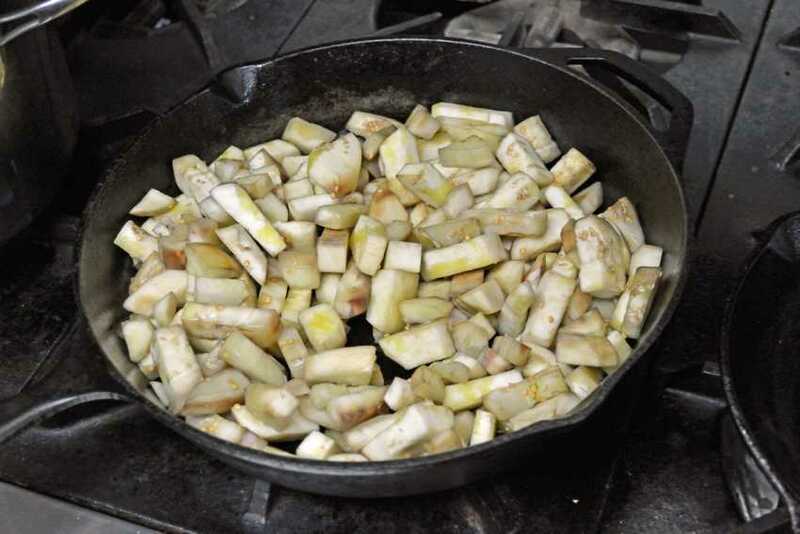 Add enough olive oil to generously coat the bottom of a heavy frying pan (preferably cast iron), heat until oil is just becoming hot, then add as much eggplant as will fit and still allow turning of the cubes. Start the well salted pasta water to heating on high. Turn eggplant every few minutes, adding olive oil as needed to keep from sticking to bottom of pan. You may need to add a little oil several times as you initially turn the cubes. While eggplant is cooking, chop the onion and garlic. 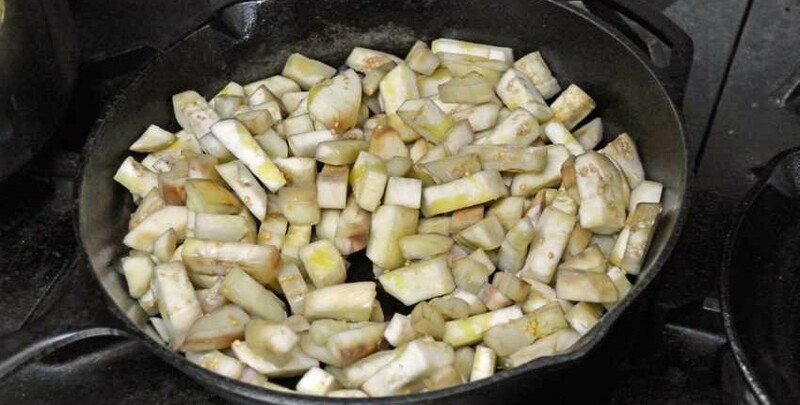 Cook eggplant, turning every few minutes, until the cubes feel tender when poked with a fork. Transfer into a bowl and set in a warm area until needed. 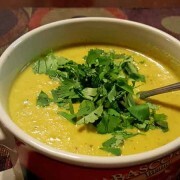 Reduce heat to medium-low and add onion, stirring frequently to coat with the olive oil. 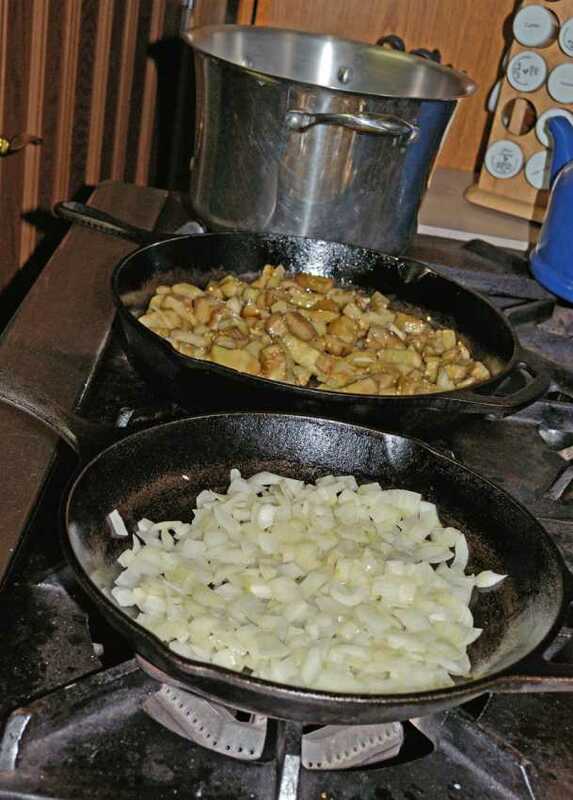 After the onion starts to soften and brown slightly, add garlic. You can cut the tomatoes in half while the onion and garlic is cooking. 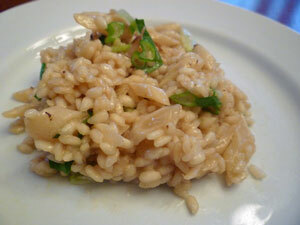 Once garlic is very fragrant and onion is softened and browned, transfer to the eggplant bowl and set aside. Add tomato halves, cut side down and increase heat to medium. 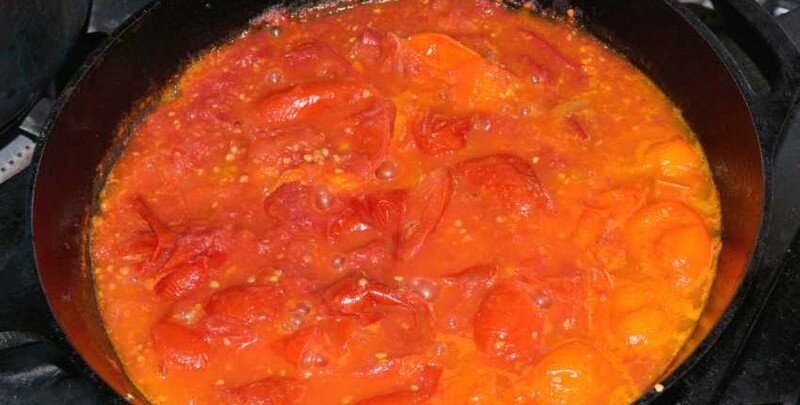 You don't want the tomatoes to sizzle, but to melt into the pan in about 10 minutes as they cook. 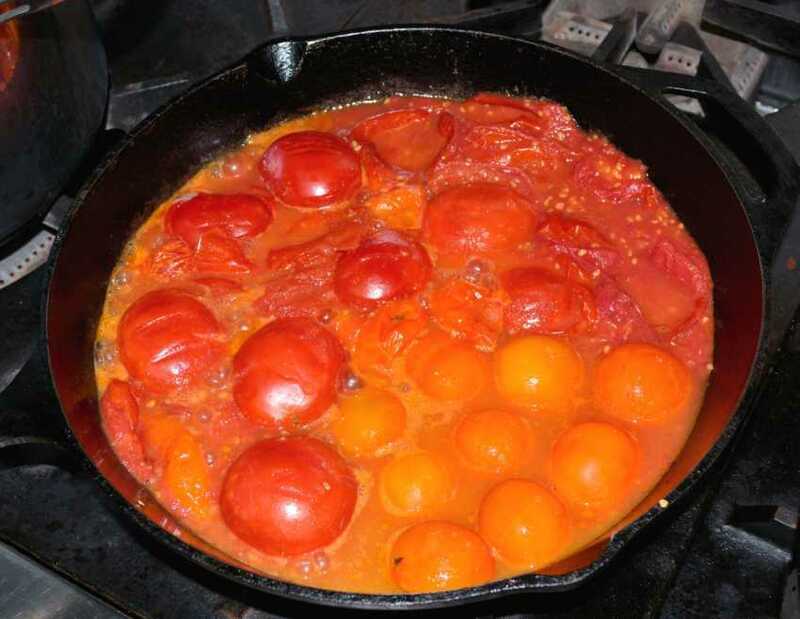 Fill the pan and add extra tomatoes as they cook down. Start cooking the pasta after adding the tomatoes to the pan. It should be done right when the sauce is finished. 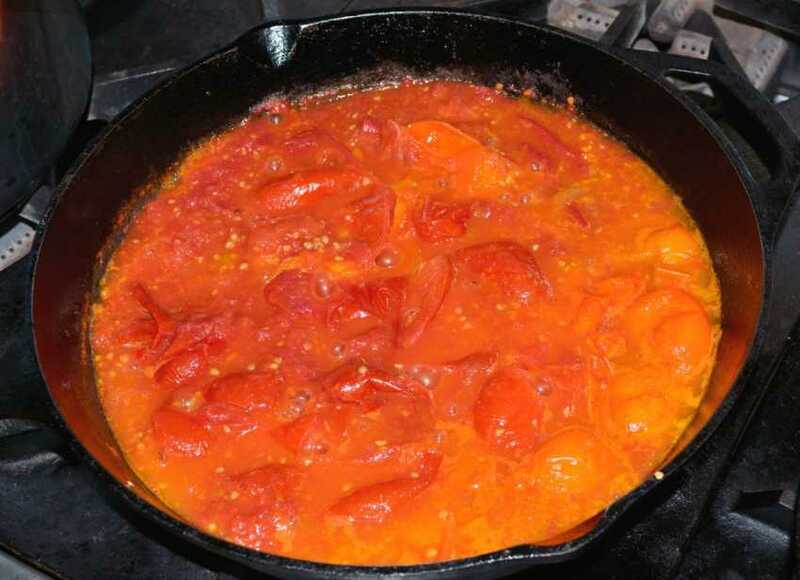 Test the doneness of the tomatoes by prodding them with a spatula. 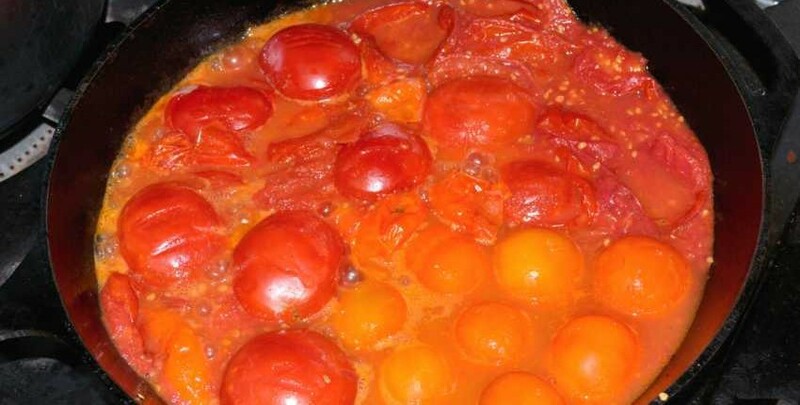 As they cook, they will soften and melt into the sauce that starts forming from the other tomatoes. 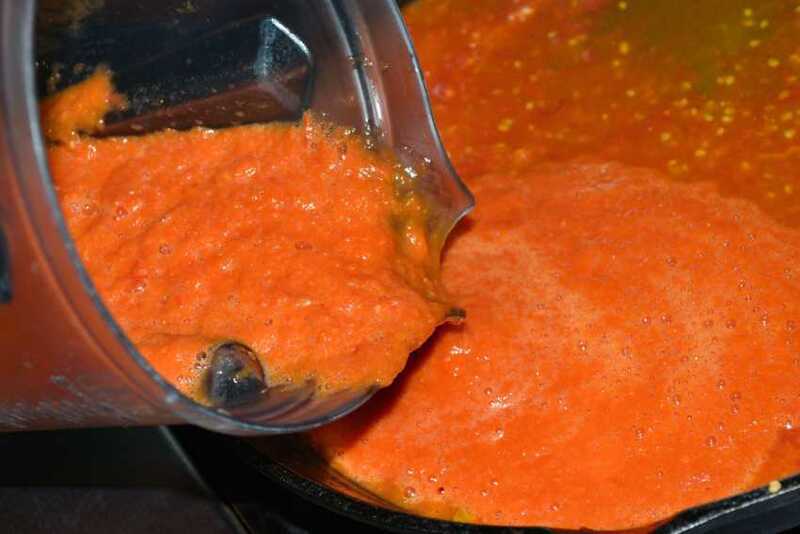 When all of the tomatoes are soft and have no firms spots left the sauce is ready to blend. 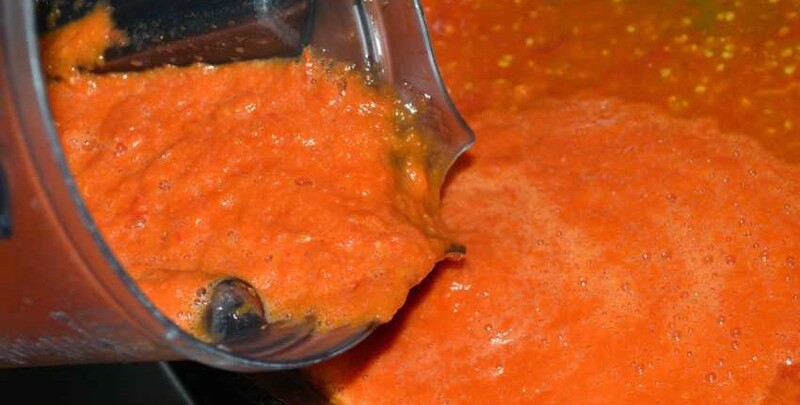 Transfer the tomato sauce to a blender and puree the skins into the sauce until they can't be seen. 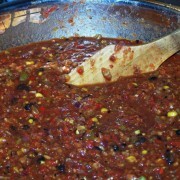 Return the sauce to the pan and decrease the heat to low or medium-low. 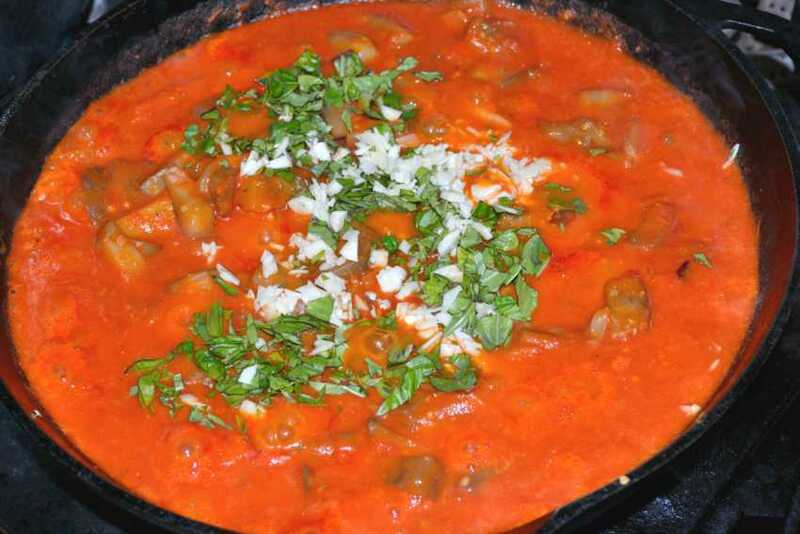 Add the reserved eggplant, onion and garlic to the tomato sauce. If the sauce seems a little soupy or watery at this point, give the eggplant about 5 minutes to absorb the liquid. Gently heat the sauce in the pan on low until it is warmed through, then add the basil leaves, ricotta and grated Romano cheese. Mix well. 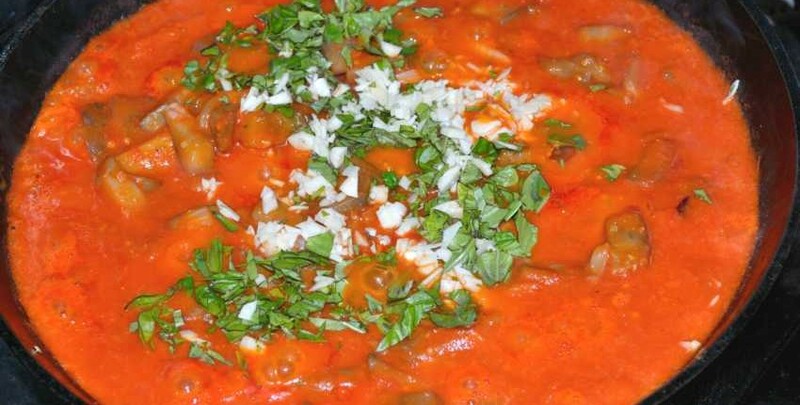 This is a very engaging sauce - the ripe flavors shine through the roasted overtones and the eggplant does not get lost in the tomatoes richness. 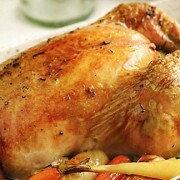 There are lots of flavors and tastes going on, which will pleasantly surprise many diners! Most people will want to go back for a second serving, so be prepared. Fresh ingredients make all of the difference here! 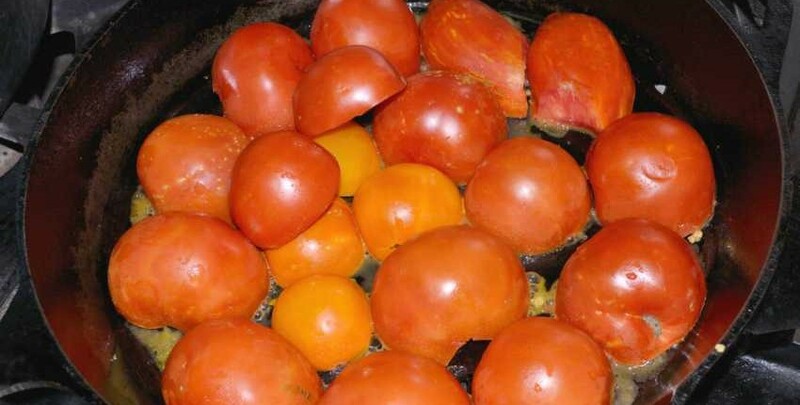 Two or more different types of tomatoes add a complex and bright note to the dish. Freshly sliced Rosa Bianca eggplant with the cap removed. There is no need to soak in salted water if it’s fresh picked as it won’t be bitter. The cubed eggplant just starting to pan roast. 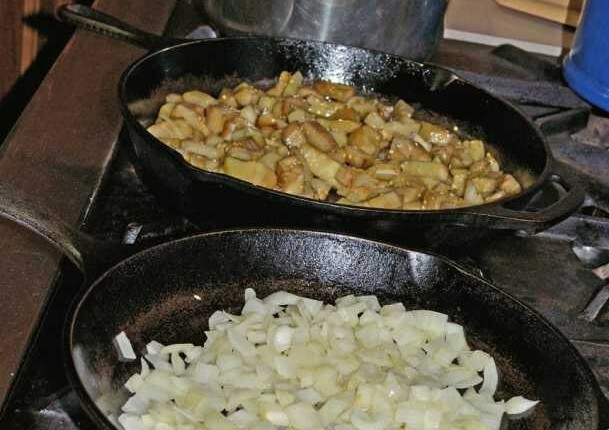 The key to developing and deepening the flavor of the eggplant is to slowly pan roast it on a medium-low heat. To speed things up I used two pans – the front has onion and the other with eggplant with the pasta water heating up in the back. 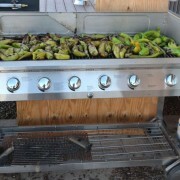 You can see how the eggplant has darkened as it slowly pan-roasts. 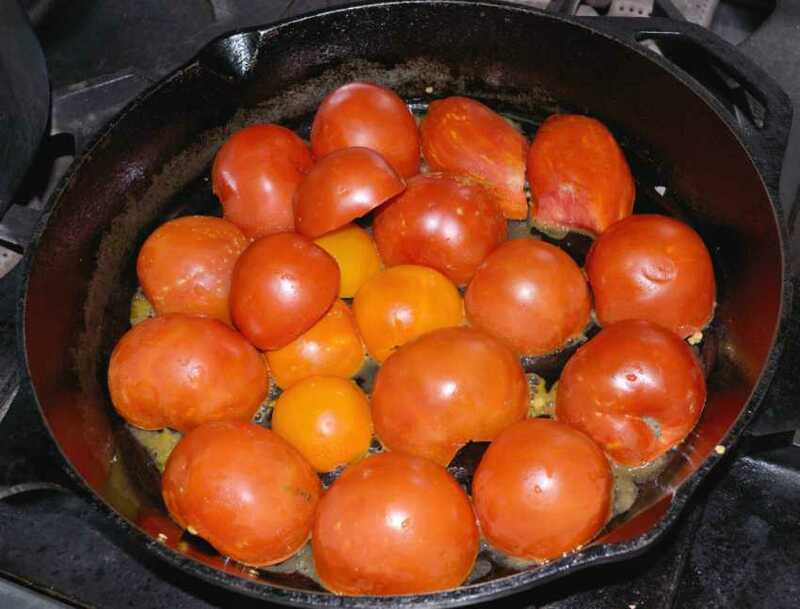 Beginning to pan-roast the tomatoes – cut side down on a medium heat. After a few minutes, this is what the tomatoes start looking like. They soften up and melt into the sauce that is forming. Add the remaining tomatoes as the first batch softens. The yellow tomatoes add a lighter color and different set of flavors that really opened up the sauce, making it very light yet rich and fresh tasting. The resulting sauce after about 10 minutes of roasting on medium heat. Transferring the blended sauce back into the pan. The blender purees the skins so they aren’t annoying. 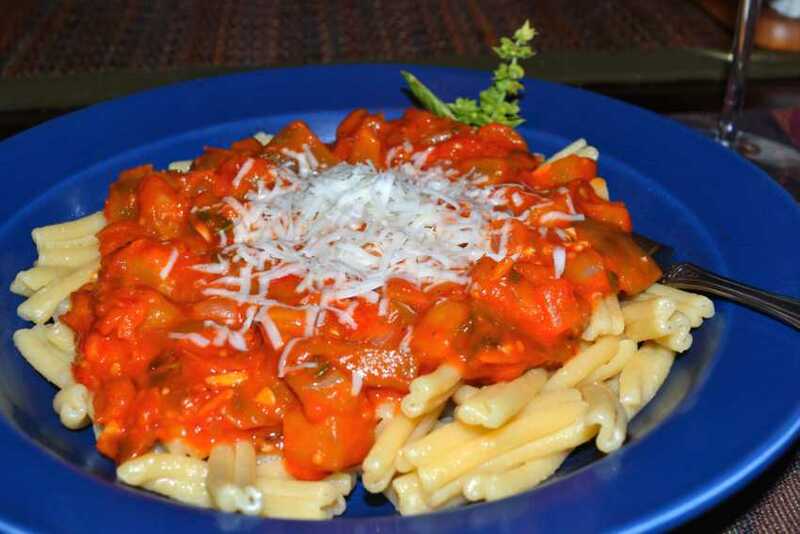 After combining and warming up all of the ingredients, the basil is added and mixed in to add it’s flavor. I added an extra clove of garlic for flavor. The finished dish, ready to enjoy! 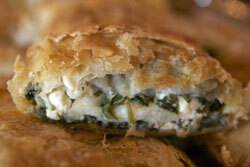 There is no Ricotta in this, to show what a less cheesy dish looks like.